A spunky blue hedgehog, an Italian assassin, and Batman walk into a bar - and they're all named Roger Craig Smith. Smith has lent his voice to countless projects, helping to bring drawings of characters to life. His first major project, however, came in the form of 2009 title Resident Evil 5, where he accidentally auditioned for, and got, the role of recurring series protagonist Chris Redfield. Never shying away from humor and noticeably excited to be discussing his dream job, Smith spoke with me about the process of auditioning for Resident Evil 5, the character who bore one of his many voices, and much more. Smith auditioned for Resident Evil 5 without realizing he was auditioning for it. Another voice was already being used, and Smith was invited in to do a reading for visiting executives. At the time, Smith didn't even realize what he was reading, and certainly didn't think he was auditioning. "I've done scratch a few times for Disney and some other companies, and when you do that you know full well that what you're doing is helping them in their development process, and then they'll replace it with a celebrity voice in the future. It's part of the job, part of what we do. And you're still getting to be a part of it. At that stage I was just happy to be out of the apartment and doing something," Smith said. "But for this, the folks were already there, and they wanted me to read this stuff out, while standing around in the break room by a pool table. And then someone said 'Try a little softer, a little louder, a little gruffer." And then next thing you know they're like 'Ok cool, thanks.' But I got a call a little while later, and they said we were jumping into this. And that if I wanted to do this, we needed to start the next week. It was a bam, fast kind of thing." 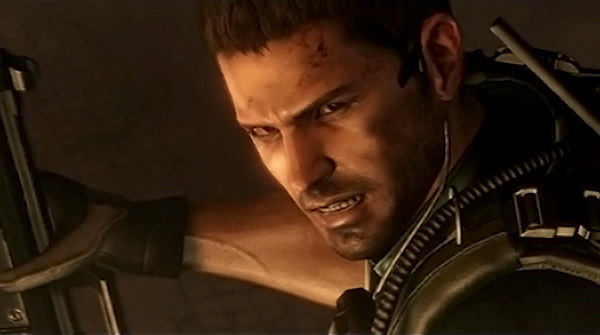 "Chris Redfield was arguably the biggest video game role that I had ever landed," Smith said. "And at the time, I was like 'This is a pretty popular game, right? Like, this is going to be a widely anticipated game?'" Many fans and critics alike consider Resident Evil 4 to be the franchise's magnum opus. After the game's release, Capcom further re-imagined Resident Evil, moving away from the survival horror formula that had captivated fans for more than a decade, moving the series towards one with more of an emphasis on combat, particularly shooting. This transition was met with heavy criticism. "And he's right. Because then it gets stagnant, and it only appeals to a small demographic. And then it goes away, and nobody gets to participate," he continued. 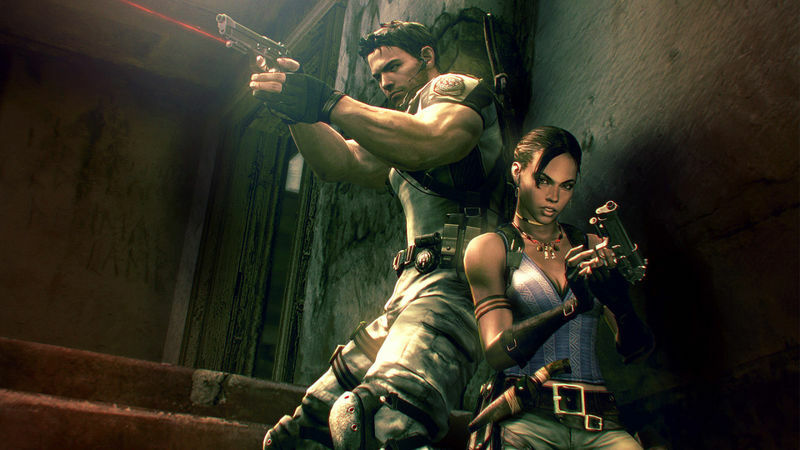 "It's what we saw with Resident Evil 5 and Resident Evil 6. Everyone who is involved in these things is very passionate and trying to appeal to a new audience while still trying to retain the fans they already have." As for hearing himself in these games, Smith says that the entire experience is "surreal." "It's a dream come true. I had a party when Resident Evil 5 came out, and I set up a couple of different systems in my house and let people play the game, and it was a blast. I was celebrating it like crazy back then, because I thought this was a one and done," he said. "But it's a dream come true, it's still so surreal. As somebody who grew up getting to see the rise of consoles and how they came to be such a staple in the home, to get to be a part of any video game, let alone play the playable character, there's no other way to say it. It's a dream come true. It doesn't seem real." "But it's also sort of a blessing and a curse, because it can actually take you out of the game and you're experiencing it in a different way," he continued. "It's to the point where it's like, I hear other friends' voices in games that I'm playing and just laugh, because I'm like 'man, that must have been murder on their voice that day.' It's the little things like that that are kind of funny." When speaking of Redfield, Smith's voice took on an almost loving tone, speaking of the character he helped bring to life with a sort of touching reverence that I was not personally prepared for. 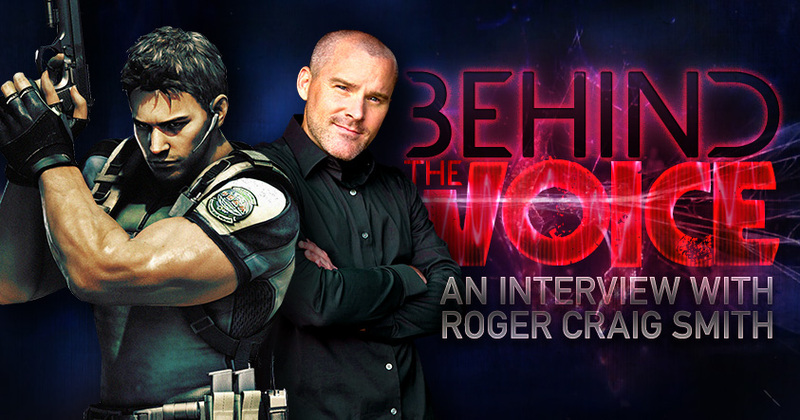 "Chris Redfield to me was always sort of a superhero in a lot of ways," Smith said. "I mean the guy punches boulders and a bunch of crazy things that are sort of inhuman. Even the entire topic, the lore of Resident Evil is so farfetched in a lot of ways, so he exists in a universe that's hard to understand. As a result, he himself is kind of a superhero." "Would I ever want to come back and do it? Of course. But it's not up to me, there are lots of people who make these decisions. I'll just be happy to get the phone call," Smith said, adding jokingly: "Unless I come back and it's like some of the more frightening things with fan fiction that I've seen, between Wesker and Chris Redfield, then maybe I'd pass on some of that. Maybe I don't need to be a part of that." With developers and publishers more concerned than ever about possible leaks, Smith says that taking roles relies a lot on what type of content is available prior to committing to any particular role. "Morally you start to think that it's an interesting thing to be a part of this stuff," he added in a serious tone. "And while there are people who I think handle it properly, and there are people who take parenting more seriously than others, I think there are a lot of people who are just thinking 'well let the kids just go play video games' and they might not be aware of the fact that the rating system exists for a reason, so be aware of what your kid might be playing and certain sensitive subjects that you may or may not want to introduce them to, and be prepared to discuss it with them after the fact or beforehand. There's all sorts of situations that can happen from an actor's perspective where you don't know what you're a part of until you're knee deep in it, and then you have a sort of professional and moral dilemma." Moral dilemmas aside, Roger Craig Smith is an ordinary man with an extraordinary job, which he loves. He says that he may go to work in a bad mood some days, but always leaves happy. "[Voice actors] go around and get to play make-believe for a living, and then we get to go home to a normal life," Smith said. "We get to be part of some really awesome stuff that can be a really positive influence on a lot of people's lives if it's done right. And if the parents are paying attention."